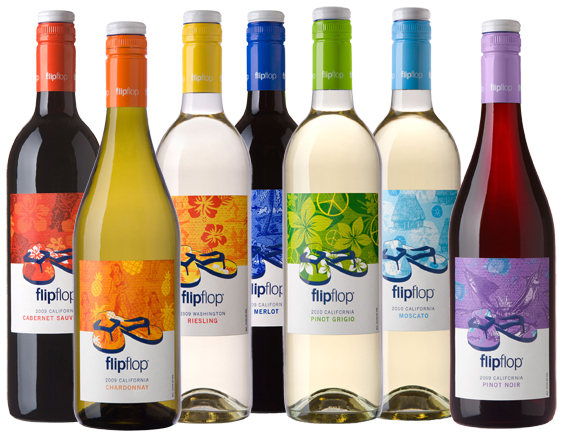 You may recall a while back I reviewed the flipflop wine line of reds. I admit that my relationship with red wine is still developing. However, my relationship with white wine goes back many years. There is nothing I could state here that I did not already say in my prior post. The three white wines I tried were the Pinot Grigio, Chardonnay and Riesling. I loved them all. I should admit a small bias here (and don't tell Stephen) but I was accepted into law school and I'll be honest. I've stressed myself out about it. So these wines, well, they were timed perfectly. My neighbor and I drank one bottle when I dropped the $877+ for my law books for THE FIRST SEMESTER. And we drank another bottle tonight since law school starts TOMORROW. Deep Breath. Deep, deep breaths. Okay, moving on. I do want to remind everyone that the flipflop lines were designed to be great tasting and affordable, even for us starving students. I love the screw top because I can have a glass of wine and another glass later and not lose flavor (or dig for the cork because I pushed it in too far). Finally, I love that flipflop wines has partnered up with Soles4Souls to help them achieve their goal of gathering 11 million pairs of shoes in 2011 for children and adults in need. 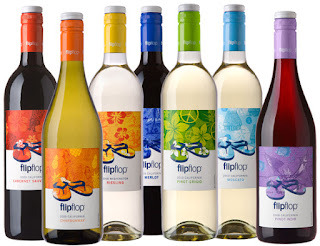 Each bottle of flipflop wine sold sends a pair of flipflops to someone who doesn't have shoes.